Lately, I’ve had a hard time staying focused. With the recent back-to-back hurricanes, fires out west, Mexican earthquakes, ongoing political unrest, global tragedies, and racial disparity, I’ve found myself dipping more and more into my NY Times app, and social media, for continual updates. There’s a lot going on in the world. And, it’s September. Time to get back to work and back into focus. No matter where you find the chaos, whether it’s in the outside world, inside your home, or within your mind, it can be hard to focus when chaos is all around you. I have to be quite vigilant with myself, especially during times of chaos and transition, in order to stay on track and focused. Here some of the techniques I use myself, and which I share with my clients. Meditate: Meditation helps to discipline your mind. 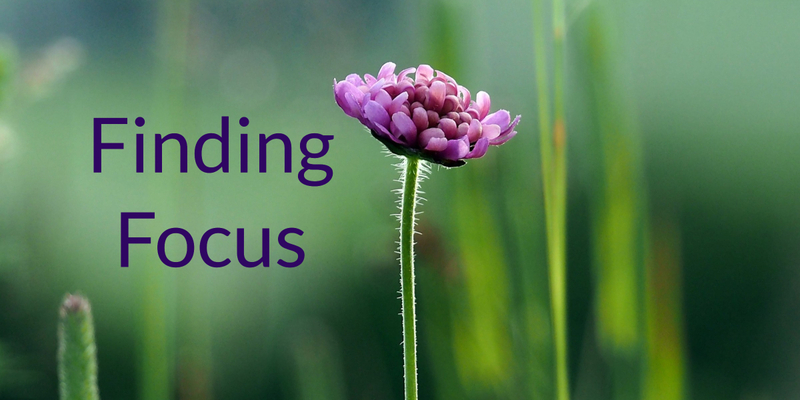 As little as 5 minutes a day, consistently, will help you develop a sense of centered focus. This is a place you can return to over and over again. I start each day with either a 20-minute, or hour-long meditation. When I miss a day, I feel off center. It’s that simple. Schedule Your Media Visits – Turn off distracting notifications on your cell phone and computer and close your email reader. Decide upon specific times to look at news, social media, and anything else that pulls you down the rabbit hole. It’s amazing how easy it is to focus without all those continual electronic interruptions. Try Focus@will — I love this service. Focus@will offers a variety of musical choices designed to help keep you on track. I listen to it when I write, and when I’m in creation mode. It really helps. (In fact, I’m listening right now.) Click here for more info. Take breaks – Take regular breaks to flush out your mind. Even a 5 minute break can work wonders. Use this time to take a walk, sit quietly, breathe, dance, stretch, sing, create, or meditate. This will help you clear your mind from overwhelm, allowing it to focus much more easily. Set Boundaries – Set boundaries for yourself. If you’re a sensitive person like I am, boundaries are absolutely crucial. It can feel hard to create boundaries, especially if you’re sensitive, but it’s essential for finding focus. Your boundaries might include: regularly scheduled alone-time, saying no to countless volunteer jobs, clearly communicating how you expect to be treated, and limiting your time around people who drain you. Setting clear boundaries can be one of the most rejuvenating things you’ll ever do for yourself. Try EFT Tapping – At the start of a session with some of my clients, we frequently do a round or two of tapping just to help focus the mind. Tapping will help you clear the fog of an overactive mind, and bring you back into your body. If you’re familiar with the tapping points, tap a few rounds to release distractions, and help yourself feel grounded and centered before you work. Here’s a diagram of the tapping points. To learn more about EFT Tapping, contact me. Use Creative Visualization – Just the act of using your mind to visualize something will help bring you into focus. If, for example, you’d like to focus on a project or task, first visualize it. Visualize how you would like the experience to unfold. See yourself as focused, and enjoying your work. Do this visualization for 2-5 minutes. Then, start your work. 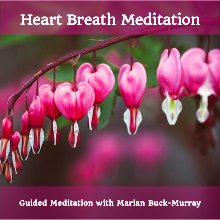 Use Your Breath – Most times when we’re distracted, we’re actually dissociated, or in a mindless state. This is a perfect time to use deep breathing to help you come back into your body. As you’re breathing, close your eyes, and watch your breath. Consciously send your breath to all parts of your body. Allow your breath to bring you back to the present moment, where focus resides. Let me know how these techniques work for you. I’d love to know!